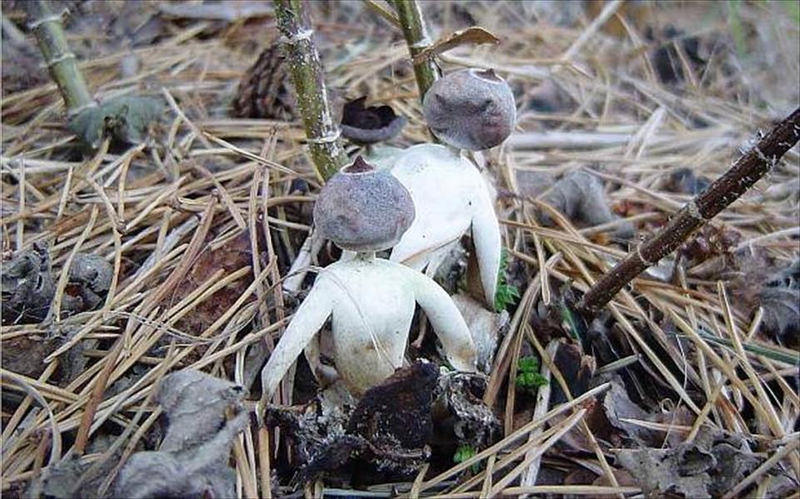 Jonathan Revett, a mycology hobbyist for over 40 years and owner of fenfungi.com, found the mushroom and sent a specimen in for analysis after noticing its unique, humanoid shape. Naturally seeming to possess a “head” and “arms”, the fragile stalk can split in two, creating the “legs” – which has caused some to compare the mushroom to a fisherman, or a “hat villain”, wearing a poncho. This tumbling humanoid fungus is both inedible and highly poisonous—not unlike a Triffid’s deadly sting. So stay away. “There’s no sense in getting killed by a fungus!"